Moscow, December 24, Interfax - The Holy Synod of the Russian Orthodox Church on Thursday founded the Department for Relations between the Church, Society and the Mass Media. This decision was made “to optimize the work and increase effectiveness, and also to rule our parallel processes in the work of synodal establishments,” the press service for the Synodal Information Department reported. The new department was formed by merging the Synodal Information Department and the Synodal Department for Church and Society Relations. Some functions of the said establishments have been transferred to the Synodal Department for External Church Relations and the press service for the patriarch of Moscow and All Russia. 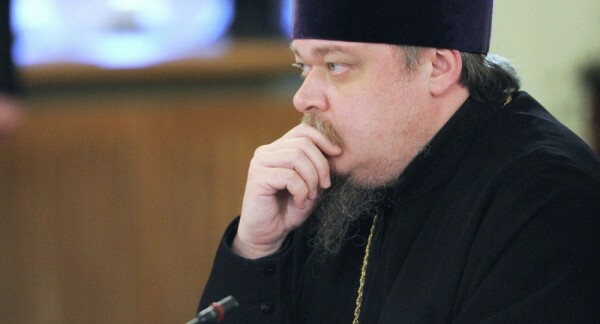 “The Holy Synod has dismissed Archpriest Vsevolod Chaplin from his post of chairman of the Department for Church and Society Relations, thanking him for the many years of participation in the dialogue with the authorities on issues relating to the development of legislation on religious organizations, and also his participation in the work of the Interreligious Council of Russia,” the report says. The new chairman of the Synodal Department for Relations between the Church, Society and the Mass Media is Vladimir Legoyda, who until now headed the Synodal Information Department. Metropolitan Hilarion of Volokolamsk has been appointed representative of the Church in the Interreligious Council of Russia.